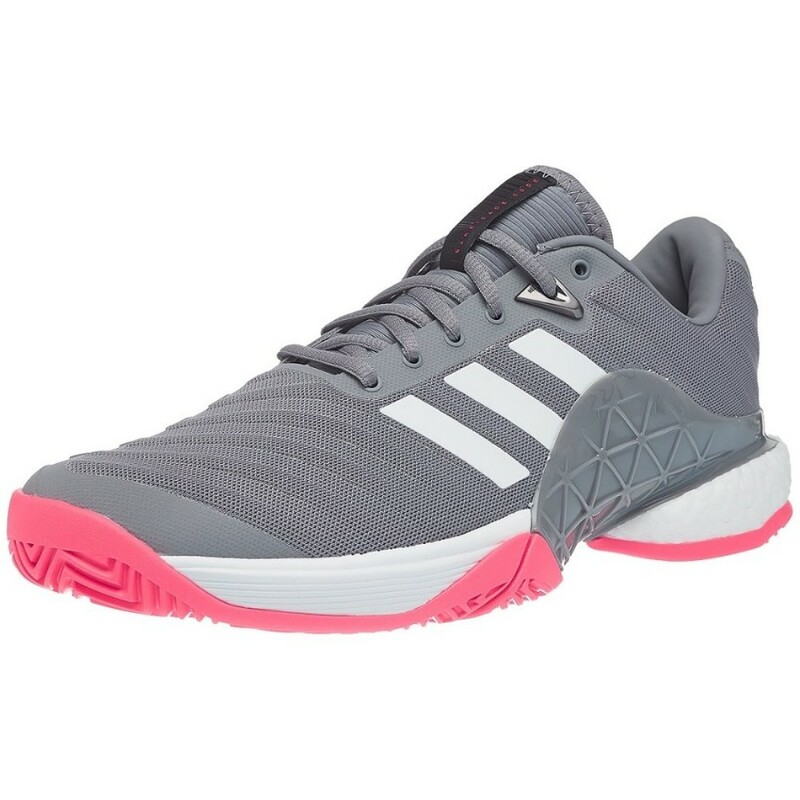 Adidas Barricade BOOST Grey/Scarl Men's Shoes - Tennis Town | 網球購物城 - Tennis Racquets, Equipment, Strings, Shoes & Bag. These shoes strap you in for top-level tennis. Built on a super-supportive chassis, the seamless mesh upper delivers a sock-like fit for rock-solid stability. Responsive cushioning in the midsole charges every stride to keep you on your toes, while the durable outsole excels on multiple surfaces. Barricade chassis for support and stability in midfoot and extra freedom and flexibility in forefoot. Seamless Forgedmesh upper designed with areas of support and stretch to help ensure a custom fit that adapts to every move; Geofit construction for anatomical fit and comfort. Adiwear 6 outsole offers the ultimate in high-wear durability; All-court outsole.